The gardening gods have seen to it that this summer I have more zucchini than I knew what to do with. Fortunately for me, that’s led to finding all these awesome new recipes, and I’m constantly, and pleasantly, being surprised by all the wonderful ways I’m discovering this summer that zucchini can be used. And for someone who does not particularly like surprises, that’s saying something. 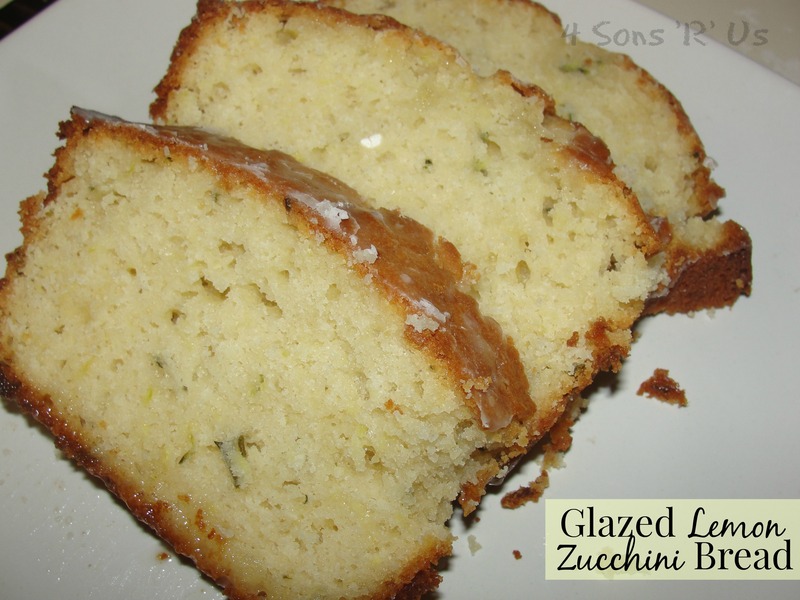 Flecks of zucchini give a delicious third dimension to the popular lemon and quick bread combination in this moist, breakfast/dessert hybrid. Seriously, lemon and zucchini are a match made in flavor heaven. Who knew?! This little loaf is easy to make. Quick breads are a perfect starting point for non/new bakers and an easy, old faithful recipe for those who’re already in the ‘fold’. 1. In a bowl, combine the flour, salt, and baking powder. Stir to equally incorporate and set aside. 2. Add eggs to the bowl of a mixer and beat well. Continue mixing and in the oil and sugar until evenly combined. Next add in the lemon juice, buttermilk, and zest to the batter and blend until combined completely. 3. Gently fold/blend in the zucchini until fully incorporated. 4. Add the dry ingredients to the batter and blend together until evenly combined. 5. Add the batter into a greased 9×5 loaf pan. 6. Bake at 350 degrees for 40-45 minutes, or until done. 7. Remove from the oven and allow to cool some. While still warm, make glaze and spoon over the bread. Allow the bread to stand for a bit so that the glaze ‘sets’ before serving. Posted in Recipes and tagged bread, breakfast, dessert, zucchini. Bookmark the permalink. Looks moist and delicious. Can barely see the zucchini. I was going for efficiency and used my food processor instead of grating it. Not as aesthetically pleasing but just as delicious! Send some over please! Lemon and zucchini?! Yummy!!! Anything lemon for me, and zucchini makes everything so moist! 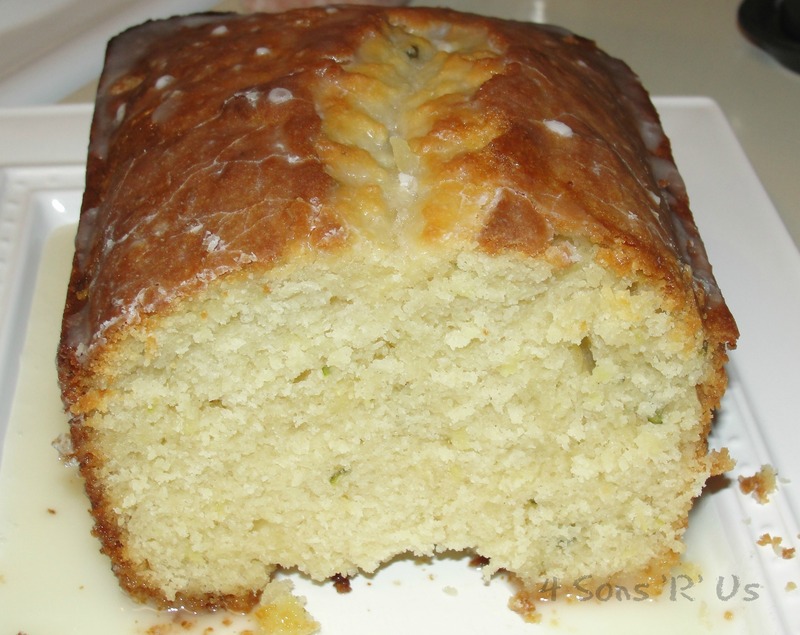 The moisture in the zucchini definitely shows through in this bread! What a great way to use up zucchini, looks yummy! Thank you so much! They’re my greatest blessings. This is a great summery quick bread to bring to this week’s Fiesta Friday, and I hope you are also enjoying the party!! My food processor gets a daily work out. It’s just soooo much more convenient sometimes that all that manual slicing, dicing, and grating. I love such easy bread recipes. N urs look soo moist n yummy.